Much of man’s technological innovations today have been borrowed mostly from nature. One of them is a very important process called “reverse osmosis”. It is the opposite of the natural process called osmosis. 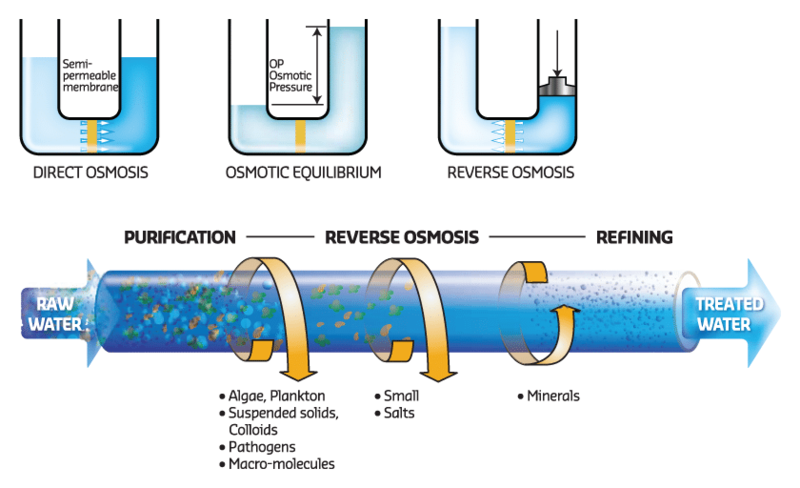 What, then, is reverse osmosis and what does it do? As man moves towards progress, water and the other natural resources of the world have become polluted and unsafe for use. Reverse osmosis is one of today’s important methods for processing water to make it clean and safe for use.